At the most recent Canepa Cars and Coffee event (held every second Saturday of the month at Canepa Design Headquarters) spectators and visitors got an amazing surprise. 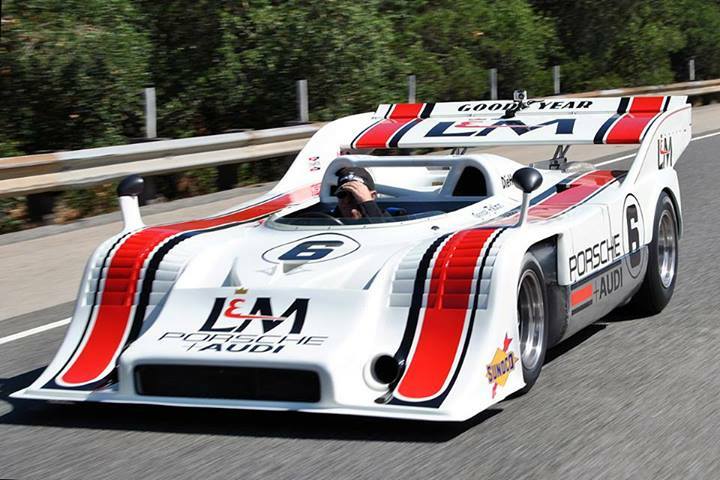 Mr. Canepa himself took a bonafide 917/10 Can Am car out for a morning drive. The wail of the flat twelve engine, combined with the whistle of the turbochargers is sure to make anyone giddy, but Porsche fanatics like myself, and surely Bruce Canepa, tremble with a combination of excitement and fear. The 917 is a formidable race car, and the 1000 horsepower turbocharged version, driven by George Follmer in the 1972 SCCA Canadian American Challenge, takes everything just a little bit more seriously than the standard Porsche. This Porsche was sold at last year's Mecum Monterey auction for an astonishing $5.5 million dollars. From there, it has evidently been sent to Canepa for a "going-through", as the team at Canepa reports the turbos having been rebuilt, which necessitated the test drive. The video, taken from a GoPro on the rear wing shows a capable Canepa putting the #6 through its paces, driving down standard 2 lane streets, and even a quick freeway blast. As comfortable and at-home as the 917 looks on the track, it is equally otherworldly and epic in comparison on the street. This Porsche is truly a legend, and I hate to think what could have happened to it on the road. I'm all for cars getting out and being exercised, as this is what they were built for, but then again, I consider myself an automotive historian, and an errant Camry could easily have erased the Porsche from the world with a slight misstep. How would you react if this machine blitzed past you on the highway? That guy has got some serious “right-foot discipline”! I once asked Brian Redman how much power these cars could produce, as I have read 1000, 1200 and 1500 horsepower. He said yes, it just was a function of turbo boost. As for the public roads, I think it is a poor idea to pass cars on the right side, especially at speed with a low-profile car. But I would not have been able to resist it myself.
. The sound was not too far off also. It was a blast seeing this video , thank you. Life is full of risks. Nothing ventured, nothing gained. My idea of the ULTIMATE STREET CAR. There is NOTHING on the street that can compare to this.